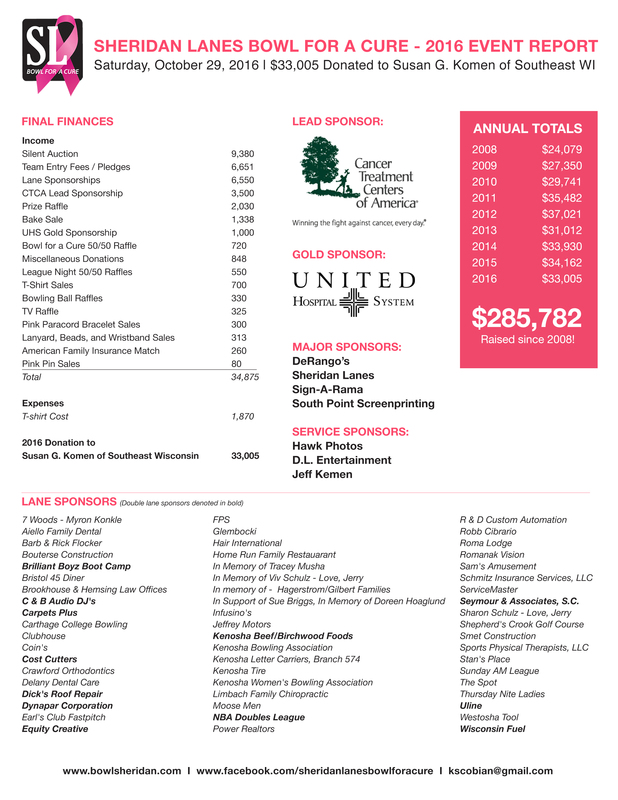 Sheridan Lanes Bowl for a Cure has raised $285,000 since 2008! as we unite for this important cause. Together, we have raised $285,000 since 2008!! View 2016 Event Photos Here!